If you’re active in the world of iGaming and mobile payments, you’re probably familiar with Boku, the mobile payment company that uses direct carrier billing to facilitate mobile payments. Boku links mobile users, carriers, and online casinos all under a single system. Instead of using payment methods such as credit cards or e-wallets to fund your casino account, it allows you to deposit funds into your casino of choice through your mobile device. You only need a mobile device and a phone number to use Boku. This payment method has made waves particularly amongst punters who still find themselves wary of succumbing their sensitive personal details on the Web. When presented with an opportunity to use Boku, users simply enter the mobile phone number, authenticate, and complete transaction. Unlike a bank transaction or e-wallet account, Boku doesn’t not require users to register. The San Francisco based company was originally called Vidicom Ltd when it was initiated in 2003 by Glyn Smith, Philip Meakin, Dr Steven Gillam, Thomas Kirk, and Chris Harris in Derbyshire, U.K. It was not until 2009 that the company re-established itself as Boku after the acquisition of Paymo and Mobilcash. At present, Boku has quickly expanded its global footprints to nearly 70 countries. The company has a solid user base of over 10 million users. To load funds into any Boku deposit casino, navigate to the casino’s deposit page and check whether the said casino accepts Boku payments. In most cases, you will have three different options to choose from; the debit/credit card options, e-wallets account, and Pay by Phone Bill casino methods. For Boku payment simply select ‘Pay-by-Phone’ category to make your deposit. Once you’ve done this, most Boku casino sites will redirect you to Boku’s payment panel/window. Enter your phone number and submit. You’ll promptly receive a text asking to authenticate your mobile number, followed by another message requiring you to confirm the amount and finalise the transaction by typing “Y”. The deposit you’ve made will be made available instantaneously on your Boku casino account for you to wager on your preferred Boku slots. The amount you deposit using Boku will also be added to your phone network carrier billing service and charged at the end of the month. This can also be billed directly from your pay-as-you-go card if you have one. Note, if you’ve never used Boku before, you’ll have to save your number and authenticate. Any future transaction will automatically be billed to your saved number. Step 1: Go to the casino’s deposit page. Step 2: Select Boku as your preferred payment method from a list of Pay by Phone options. Step 3: Key-in your phone number and authenticate. Step 4: Enter the amount you wish to deposit (Maximum £30). Step 5: Confirm the amount via a text message and finalise the deposit process. Step 6: Go back to your Boku casino account and start using your credit! Which Mobile Phone Networks are Supported by Boku? Can I Claim a Casino Bonus When Depositing via Boku? Yes, by using this payment method, you’ll still be eligible to receive some of the most common casino bonuses, such as the deposit bonus, free spins, and various other perks. There are also Boku slots sites that offer no wagering requirement to slots devotees as well as an enticing range of promotions and gaming options for Boku users. However, while Boku is an ideal and one of the fastest ways of funding your casino account, it comes with a limit of £30 deposit a day. This may limit the bonus amount. Depending on the Boku casino, the deposit bonus may be limited to £30 or considerably less or offered in the form of free spins. Sometimes the casino deposit bonus may not be available at all. Every punter wants a payment method that doesn’t expose their sensitive financial information to the prying eyes of cybercriminals. With Boku, everything is comparatively secure since one doesn’t have to provide any form of personal data. As aforementioned, there is no use of debit or credit cards; everything is done via mobile billing which means only your mobile number is given out. The payment information will only remain with your network provider. Using Boku straightforward. All you need to do is use your mobile device, go to one of your preferred Boku casino sites, select Pay by Phone method, select Boku, key in your mobile number, verify and complete your deposit process. The entire process is completed in a matter of minutes. It really doesn’t get any easier than that! Boku payment method is fully regulated by the mobile networks. The mobile payment industry is regulated by three regulatory bodies in the UK: (i) PhonepayPlus—an entity that regulates phone-paid services in the country; (ii) Ofcom—an independent communications regulator in the UK; and (iii) AIME—a reputable industry trade association that offers support and longevity in the ever-changing communication industry. As such, you don’t have to worry about issues such as hacking and scamming. Boku continues to grow exponentially which explains why it is being adopted by numerous mobile casinos today. With the rise of mobile use, it’s easy to see why this is happening, couple this with convenience and security and you got yourself a solid mobile payment option right in your pocket. Boku protects your from overspending with its daily deposit limit of £30. This means you’re only allowed £30 on gambling, and not a dime more when you stick with Boku deposit method. Unless you increase your bankroll through winning, you cannot top up your account until 24 hours lapses from your previous deposit time. Unlike most deposit options, Boku deposits are absolutely free as the deposit fee is charged to your Boku casino. Say you decide to deposit £20 into your Boku mobile casino account to play on your favourite Marvel Boku slots, then Boku will receive a cut from the casino meaning you get to play with your £20. Boku’s customer service is up there with the very best. In case you experience any kind of trouble while transacting, reaching the customer service is extremely easy. Boku offers fantastic 24/7 customer support to address any queries regarding purchases or deposits. One of the main drawbacks of using Boku is lack of withdrawal option. You only get to deposit funds but find other banking means to withdraw your winnings. This may be a great disappointment for punters who love sticking with a single platform for depositing and withdrawing their cash. That said, you’re better off having a separate e-wallet account or other banking options for withdrawals. With only £30 allowable deposit per day, it’s only fitting to say that this is not a platform for the high-rollers. Boku offers such a low limit because the company has to ensure that its money is returned back by the end of the month. Remember, this £30 daily deposit or purchase amount is given to you as a loan to be deducted from your monthly carrier fee. Hence, it is necessary for the company to allow manageable amount to people for easy return. After all, potentially lending you £930 a month to wager at your favourite mobile casino is pretty generous, don’t you think? Since all the verification and authentication processes are conducted via messaging, it can get pretty upsetting for people under poor network coverage. Sometimes the verification message can be delayed, which may mean lower convenience in the long run. Boku is a turnkey payment solution which means it has been tailored to suit casino sites of all sizes and shapes. Use our website as we provide in-depth independent reviews on casinos that accept Boku!  In our Boku casino list, we have assembled some of the most reputable, trustworthy, as well as the latest Boku casino UK sites that over a diverse list of casino games. From the top-rated Boku slot sites to those with attractive welcome bonuses, we’ve got them all. Without further ado, jump in and play at the best Boku casinos today!